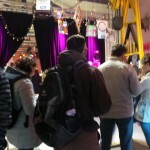 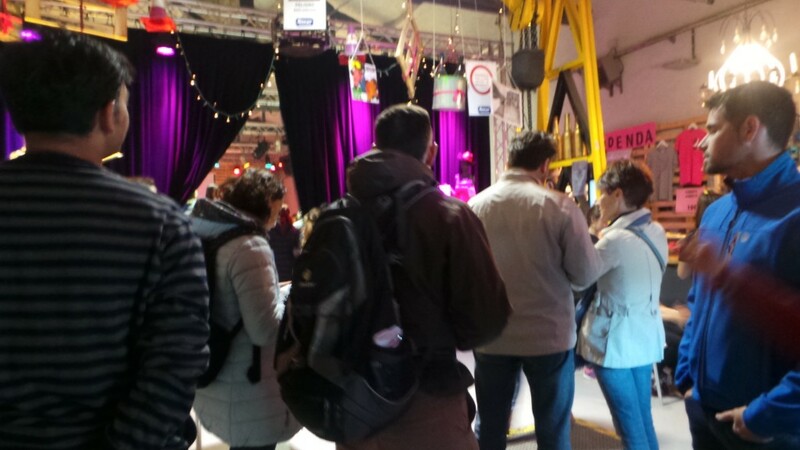 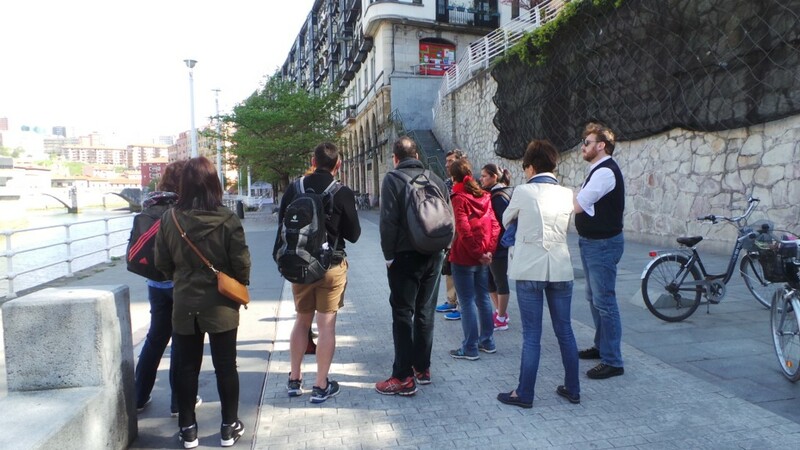 Last Friday, 29 April, over a dozen highly-qualified international professionals, Relocation Service users from various countries such as Italy, USA, Iran, Austria or India, participated in the Tourné Underground organized with Bilbao BBK Talent. 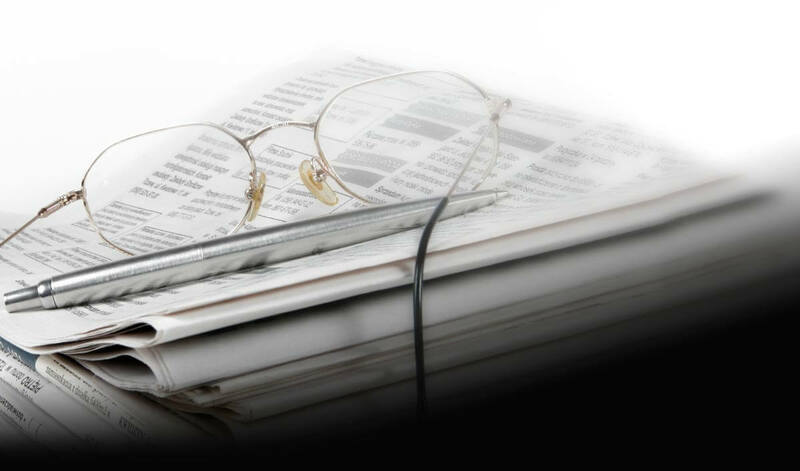 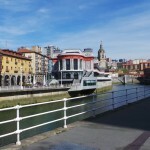 The aim of these activities, regularly organized by bizkaia talent’s Relocation service, is to create a platform for highly-qualified international professionals to develop ties and bonds at both a personal as well as a professional level. 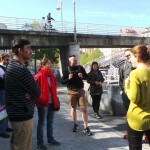 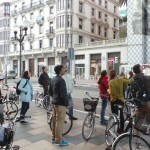 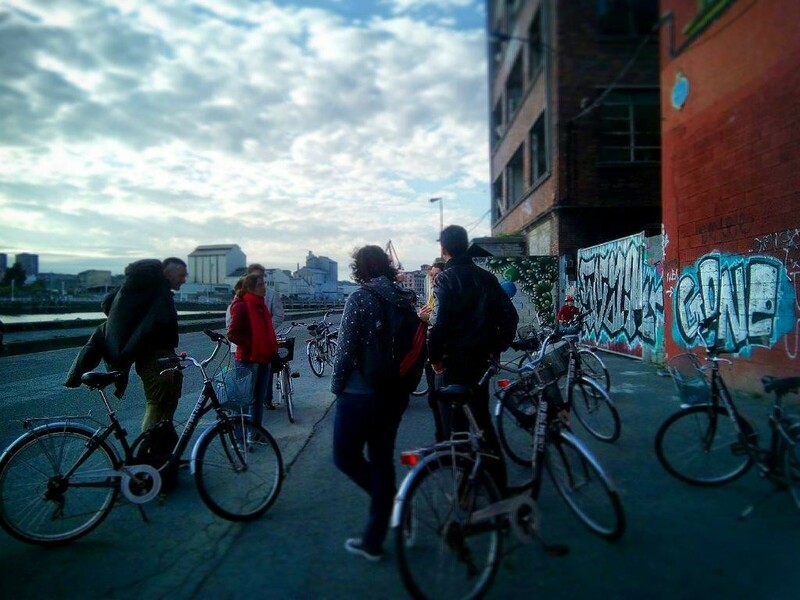 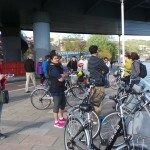 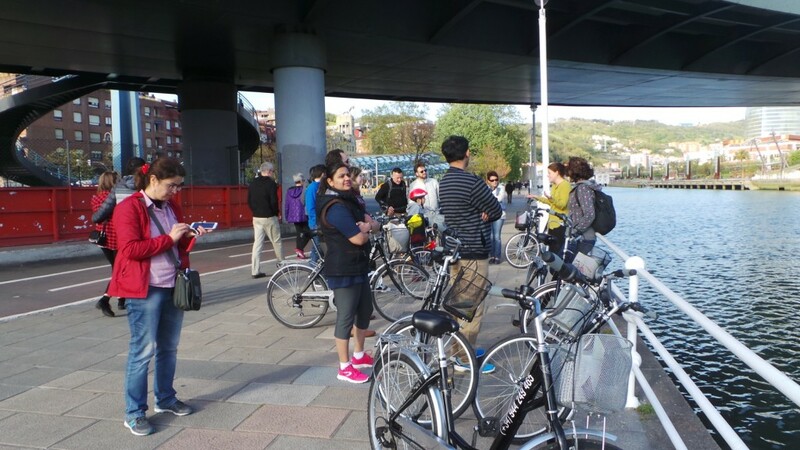 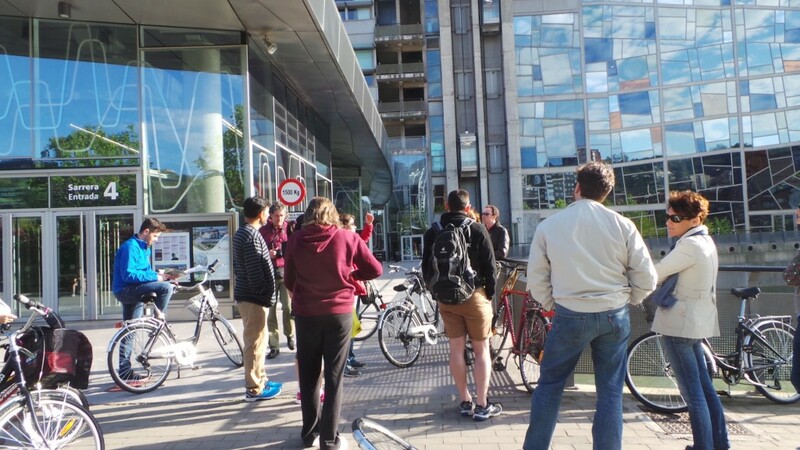 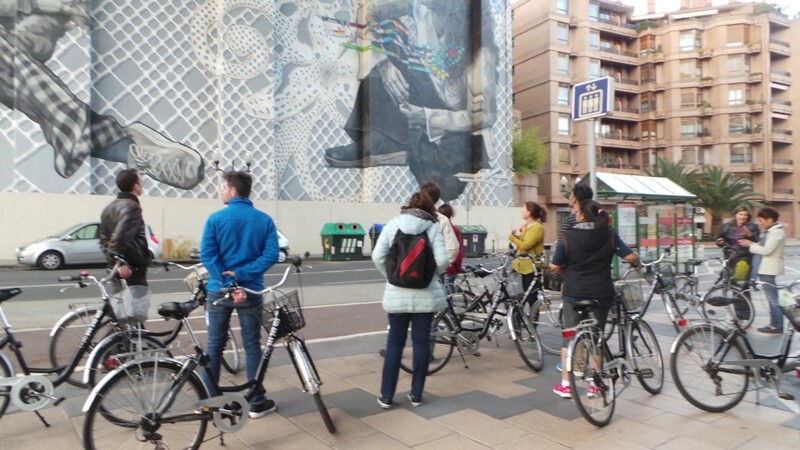 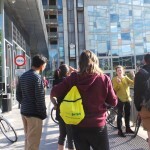 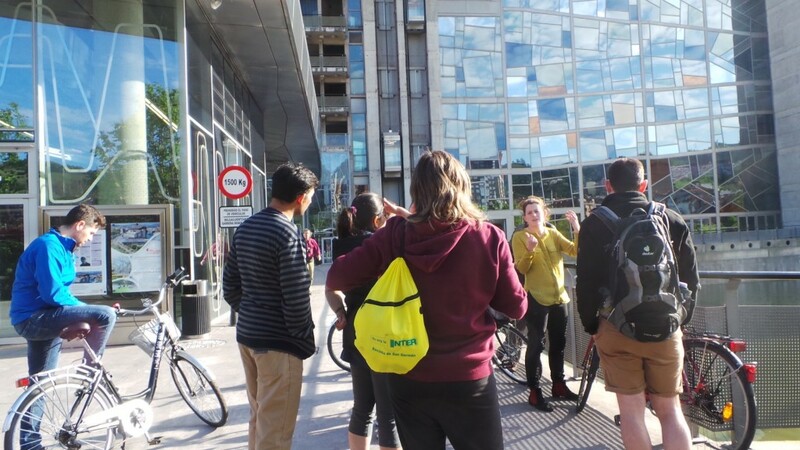 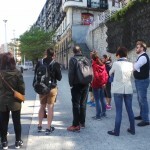 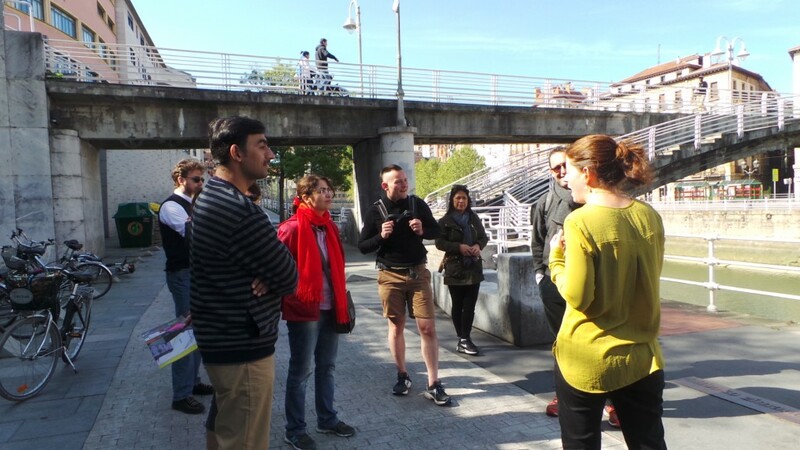 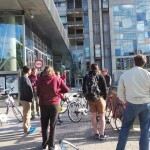 Throughout the afternoon, the professionals enjoyed a bike tour during which they saw other faces of Bilbao from the point of view of the most innovative art practices and explored neighbourhoods such as Bilbao La Vieja, Zorrozaurre or Botica Vieja. 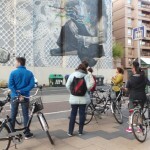 During this ride, they discovered first-hand the urban art scattered across the city, public art works, cultural centres, festivals and other emerging innovative initiatives. 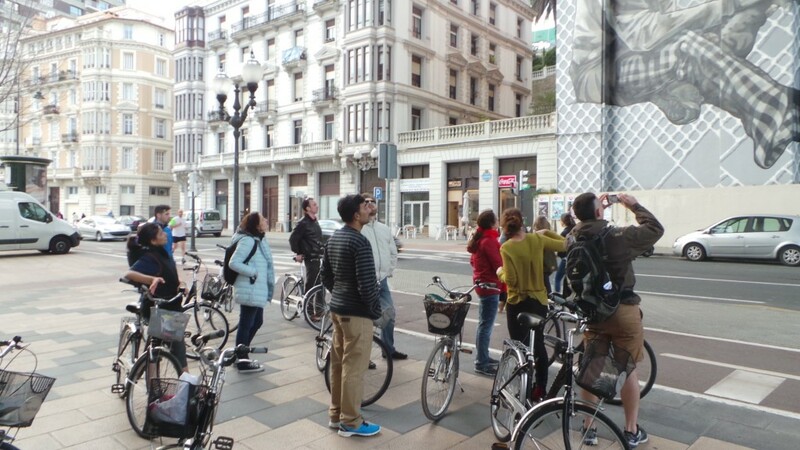 An exciting and entertaining route narrated by a local guide well acquainted with the contemporary culture of Bilbao. 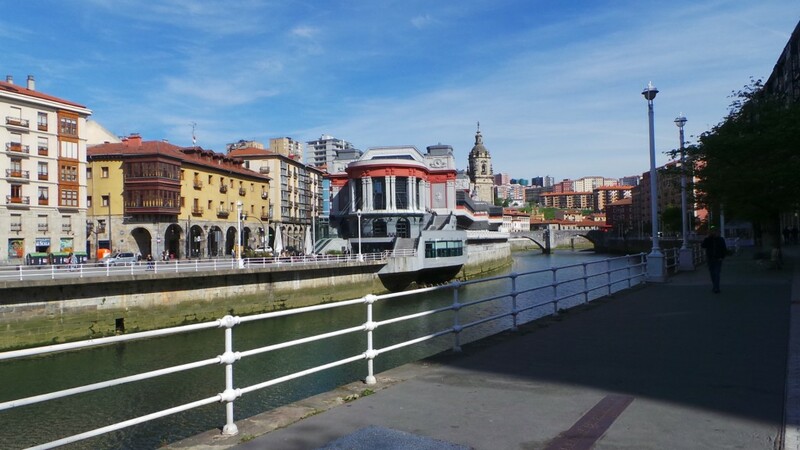 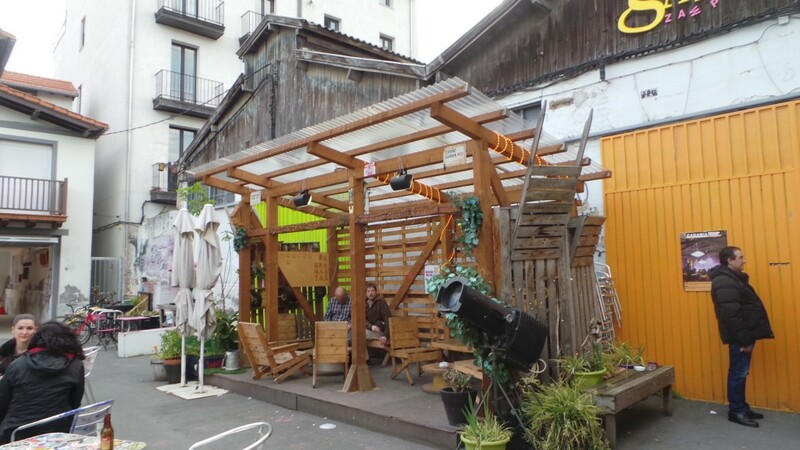 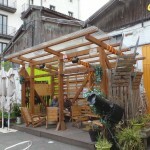 Thus, the guide showed them reinvented spaces, old butcheries turned into cultural centres or buildings from the industrial past of Bilbao which have now been given other uses.